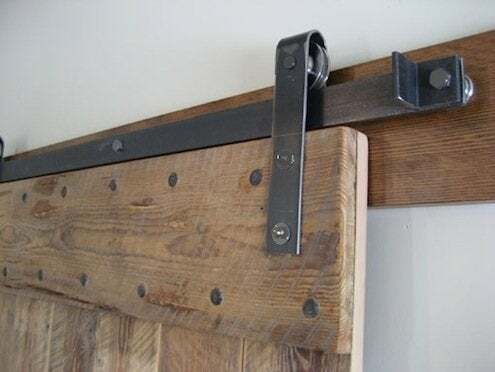 Using barn doors at home is a common practice of architects, designers, and homeowners whose aim is to create a better “flow” without sacrificing the ability to partition spaces for private use. 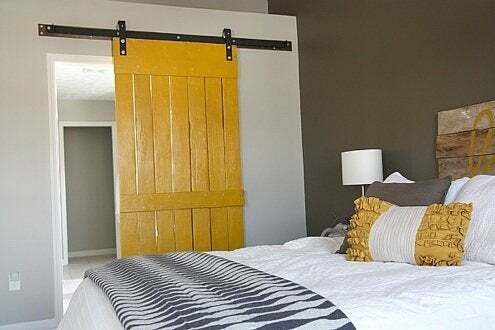 Where floor space is limited, barn doors are an ideal solution. 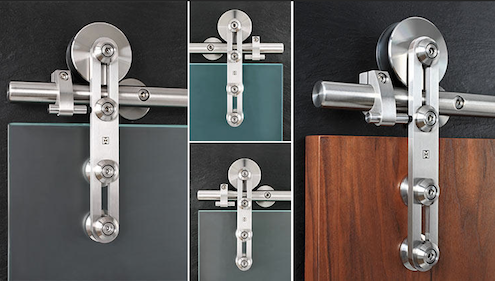 The most industrial-looking version is I-beam, or box rail, hardware, available from such supply sources as the Elmhurst, IL-based vendor McMaster-Carr. 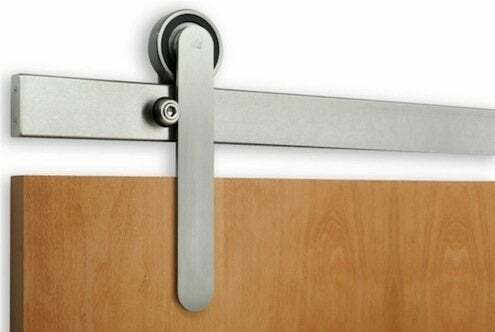 Flat track hardware is simple and unassuming; take for example the product above, with its black enamel finish and vertical bar-style hangers. Rustic, hammered finishes are also available. A spoked wheel can be chosen for a more down-home look, and some kits even come with a Western horseshoe-shaped hanger. Modernists need not shy away from using barn doors at home. A stainless finish is an easy way to update the look, making it cleaner and lighter than those black finishes that are designed to mimic iron. The product from Bartels pictured below even seems futuristic.